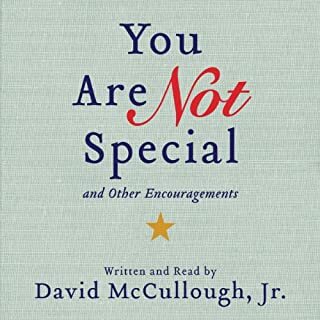 Narrated by: David McCullough Jr.
A profound expansion of David McCullough, Jr.’s popular commencement speech - a call to arms against a prevailing, narrow, conception of success viewed by millions on YouTube - You Are Not Special is a love letter to students and parents as well as a guide to a truly fulfilling, happy life. 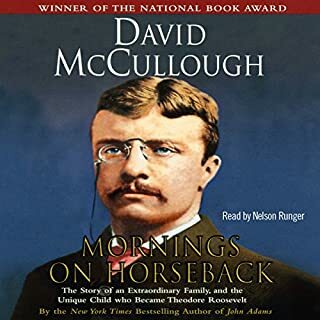 By acknowledging that the world is indifferent to them, McCullough takes pressure off of students to be extraordinary achievers and instead exhorts them to roll up their sleeves and do something useful with their advantages. On December 17, 1903, at Kitty Hawk, North Carolina, Wilbur and Orville Wright's Wright Flyer became the first powered, heavier-than-air machine to achieve controlled, sustained flight with a pilot aboard. The Age of Flight had begun. How did they do it? And why? In a series of fascinating interviews, today's best and brightest historians weigh in on the crucial moments in American history. American Heritage's Great Minds of American History takes you there, imbuing the past with an immediacy that goes well beyond the scope of formal histories. Over the course of his distinguished career, David McCullough has spoken before Congress, colleges and universities, historical societies, and other esteemed institutions. Now, at a time of self-reflection in America following a bitter election campaign that has left the country divided, McCullough has collected some of his most important speeches in a brief volume designed to identify important principles and characteristics that are particularly American. The American Spirit reminds us of core American values to which we all subscribe, regardless of which region we live in, which political party we identify with, or our ethnic background. This is a book about America for all Americans that reminds us who we are and helps to guide us as we find our way forward. If you could sum up The American Spirit in three words, what would they be? What was one of the most memorable moments of The American Spirit? Reading of JFK's inaugural address. Provides an "at a glace" look at some truly great Americans. No, best taken in 30-45 minute chucks. Some of the speeches overlap in their themes, so it is good to finish up a chapter and marinate on his words for a bit. His speeches were more inspirational that what I had received when graduating (Justice Clarence Thomas did mine at UGA - it was lacking in enthusiasm). Overall a good selection of speeches that makes you proud to be an American and encourages you to aspire to more in personal and public affairs. 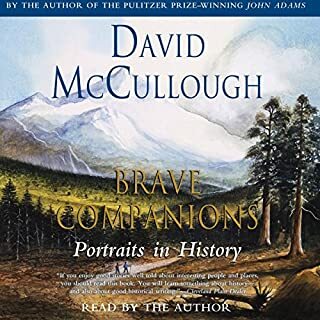 David McCullough is a musing, thoughtful philosopher/historian. He is my favorite author in any genre and every type ever...period. Perhaps it is due to the way his writing transcends genre, his voice transcends ages, and his heart is for all that is good for America and the world. If I could have 5 minutes in person with him, I would shake his hand as a man, hug him as a grandfather, and sit at his feet as a father asking "Please tell me more." 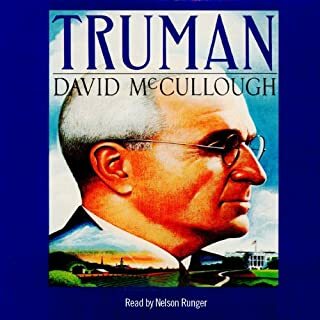 I am not a literary critic but David McCullough is my favorite author for what it's worth. That said this is not my favorite work - 1776 also by David McCullough holds the title. Many of the speeches are similar which made it a little tiresome to get all the way through. Fortunately, there was enough wisdom sprinkled throughout to encourage me to power through it. Also his reading the book added a lot to the experience. I could listen to David MC read the phone book. there's something bitter sweet about sitting at his feet. American Spirit seems as though we are and what we stand for, but somehow seem to be forgetting losing overtime. They say that Robert E Lee was called the marble man, in my opinion David McCullough has replaced him as the monument to American ideals. 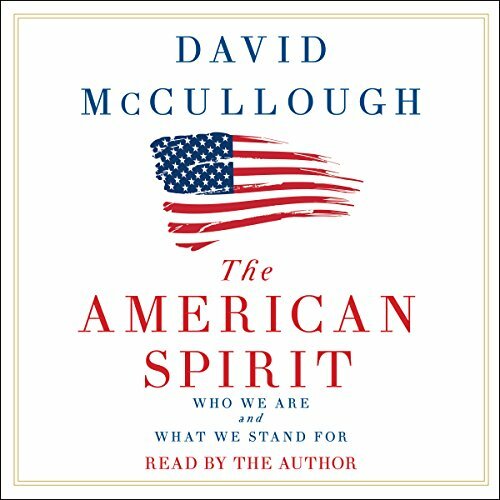 No matter where you fall on the political spectrum David McCullough once again inspires through his speeches a return to the basic American Spirit. Bravo sir! The David makes you remember that if you don't know the historical background of what you're trying to do you will surely muck it up. It felt like David McCullough just gave a commencement speech to our nation when he wrote "The American Spirit." Listening to Mr. McCullough read his own books has always been a pleasure of mine. When he speaks, we should all listen. He is the grandfather of our nation and I always listen and read every words that comes from this great and nodal human being. His new book has been backlogged on my virtual shelf for a while. I was getting discourage from the garbage trash of what I've been reading from other authors. 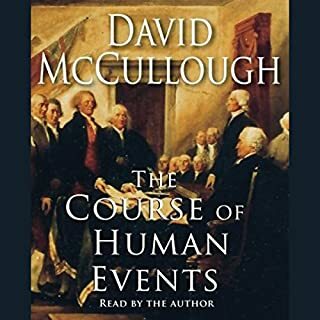 David McCullough always uplift my spirit when reading any of his books. He is the best at what he does. A long time ago, my friend suggested that I should read one of his history novels. 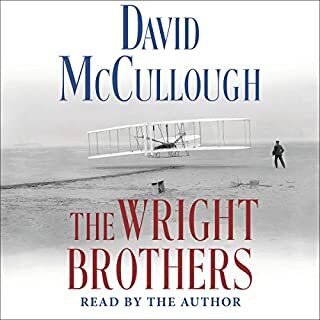 Every since then, whenever David McCullough publish an new title, I stop everything and click on add to cart to buy it. Timely and encourageing in the present political climate of division these speeches stress the importance, the historical American emphasis on education, and the importance of history for our youth. Have listened to it several times. Excellent. Should be required reading for every high school student. I always like this author and his narration and I wasn't disappointed! Get this one!